Cystic echinococcosis (CE) is a worldwide zoonosis caused by larval stages of the cestode Echinococcus granulosus. Surgery, chemotherapy, and interventional procedures are the therapeutic options. Surgery can cure the patient if the parasite is removed entirely. However, the technical procedures are inconsistent and comprise partial liver resection or opening of the parasitic cyst and removal of the parasite. Laparotomy is the most common approach. In selected cases laparoscopic methods are successful. Retrospective studies outweigh prospective ones by far. However, proper management gives favorable results. 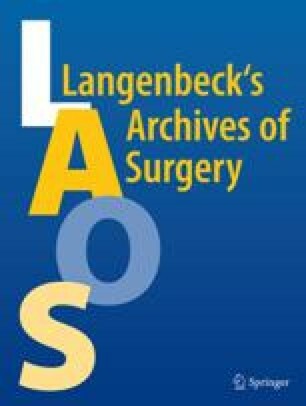 We critically review the literature and present a brief summary of current surgical strategy and focus on issues relevant for surgeons: diagnosis, indication for medical treatment, indication for surgical treatment, surgical procedures, scolicidal agents, morbidity, mortality, recurrence, perioperative medication, standards. All surgical procedures aim at the complete removal of the parasite. Liver resection and pericystectomy are procedures that resect the closed cysts with a fairly wide safety margin. A meta-analysis shows the best results regarding lethality (1.2%), morbidity (11.7%), and recurrence rates (2%) for resective operations. However, most surgeons consider these methods as too radical for a benign disease. Procedures that remove the parasite and keep the pericyst (=cystectomy) are easier to carry out than resective ones. The meta-analysis presented revealed a lethality of 2%, morbidity of 23%, and recurrence rate of 10.4% for these operations. Omentoplasty is the option of choice for the management of the remaining cyst cavity. Despite alternative procedures surgery is the treatment of choice. Supportive measures comprise the use of scolicidal agents and postoperative benzimidazole administration. However, a critical review of the literature disclosed a lack of scientific confirmation of established treatment modalities and procedures. The results of ultrasound imaging were classified and correlated to the developmental phases of CE. Cystectomy and omentoplasty for CE should be the standard surgical procedure because it is safe, simple, and effective and meets all criteria of surgical treatment for hydatid disease: entire elimination of the parasite, no intraoperative spillage especially by using a cone, and saving healthy tissue. Pericystectomy should be used for peripherally located liver cysts that are surrounded by parenchyma only partially. Ultrasonic classification of the parasitic lesion should be used as a guideline for therapeutic measures.